Market prices in all produce sectors are always changing due to several different factors. As producers it is our responsibility to keep abreast with our products prices and continually keep track of trends. There are numerous sources of information available that we can follow to do this, but we need to be careful as some are more reliable then others. Be discerning. In this article we will look at different factors that affect market prices and how to know whether we are receiving the correct price for our products. 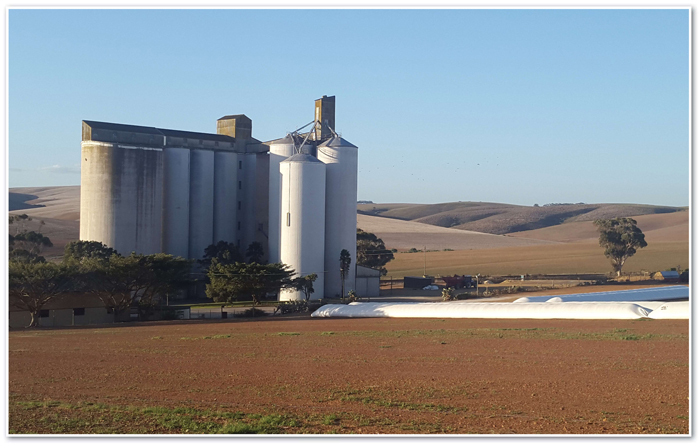 The maize market price is one of the most volatile of all the grain sectors and because this is one of South Africa’s primary food products it influences a big proportion of our countries farmers. Why do we plant maize? Profit, climate and food. These are the three main factors that determine the viability of producing a crop of maize. We must be producing a crop that makes economical sense. If we don’t then we are running a business which is not sustainable. We also need to be producing crops which are suitable to our specific climatic conditions. Finally, we as farmers have the immense responsibility of providing food for our nation’s population. We need to perfect the task of balancing these three factors in a way which still makes business sense and can translate into a profitable operation. The main factor above all others which determines the price of maize in each season is supply and demand. Roughly 75% of maize produced in a season is consumed by our own local market. This can be in the form of maize based food products for humans as well as animal feed. Simply put; when we have a good year and our maize crops yield well, then the price of maize will decline as there is an abundant supply. In poorer drought years when there are lower yields the price will increase with demand. International market influences also play a role in the prices we receive for our maize. In years when we have an under supply of maize in the country we need make up the shortfall by importing maize from other countries. At times this can have a ripple effect on our market because as we build up stores of cheap imported maize it can result in the local price of maize being stagnated. Our local maize price is also affected by export demand for our crop. In years when we have an oversupply of maize there may be other countries that have experienced a shortfall resulting in them becoming a potential importer of our maize. This can hold our prices stable. There are however several international trade regulations which factor into this such as export and import tariffs and health standards. This is a complex topic which we won’t discuss in this article. The price of fuel and transportation plays a big role in our maize price as it does in most other commodities. Maize is produced all over the country and needs to be moved to storage facilities and into the market. So, when the price of fuel goes up the price of the maize we produce will go down as the purchaser factors this into his costs. Maize has a long value chain to follow from the farm to the consumer and each step requires fuel. Is the price we receive market related? We now understand a few basic principles which determine the maize price, but how do we know that the price we receive is market related? This is where you as farmer needs to stay in touch with what is happening in the market. Keep informed by reading and listening to those who are knowledgeable on the topic. This is very important as you may want to strategise and plan when and how you market your crop to try and receive the best possible price. You may even consider storing your maize for a period of time until the price increases again. There are reliable sources which publish daily maize prices such as Grain SA and Safex. You can request to have a daily text message sent to your phone which will give you the current prices. Your local co-operatives such as Afgri, Suidwes, NWK, Senwes and others will also be a reliable source where you can find out what the price is, and the possible future trends may be. The most important thing is to do your research before accepting any offer on your product as there unfortunately are always those who will try and take advantage of the unknowing. You should however be aware that there are always certain deductions which are standard in the industry. You may have weight deducted for maize which is dirty with lots of residue in it. You may also be penalised for poor quality maize. Most market places work on a standardised grading system. You may also at times be charged a small handling fee when you deliver your crop to the market place. These are common and should not deter you from selling. Above all else keep informed and keep in touch with your industry.